Egypt expects to receive the fifth tranche of its $12 billion loan from the International Monetary Fund (IMF) in late January or very early February, Governor of the Central Bank of Egypt (CBE) Tarek Amer told Bloomberg Tuesday. The $2-billion installment had been due in December. "We're agreed on everything, agreed with the mission on Egypt's performance during this phase," Amer said, adding that reforms had become part of the culture. "The reform program is on schedule and we are committed to completing it successfully." "We are committed to ensuring that the market is free and clears itself, but at the same time we have reserves that help us to confront any speculators or disorderly market practices. 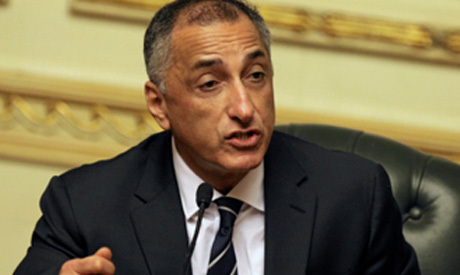 We are committed to ensuring that the holders of Egyptian debt always make better return," he said. "The reserves help us to defend the new foreign exchange regime, and the interest rate can be used as a tool." Egypt's foreign exchange reserves recovered from about $15 billion before the devaluation to an all-time high above $44.5 billion in November.